You spend 1 hour here, 4-5 times a week. That’s less than 3% of your week. Yes when you are here I want you all in, smash it, no weakness, no talking, just action. Buuuuuuuuut this is just the start, this is just 3% of your performance. What about the 33% of the week that you sleep, that has a huge impact on your performance, is that 33% down near something like 20% because if it is then it is then all of that energy you put into your 3% time in the gym is all but lost. And of course I can not leave out the energy and time you should be putting into your food. The simple message of this post is that if you do not have your food and your rest in order then you will not see the results that you want. I see so many people working so hard in the gym and then dropping the ball in these other areas and hence they do not progress. Start being responsible for what you do with the 97% of your time that you are not in the gym. 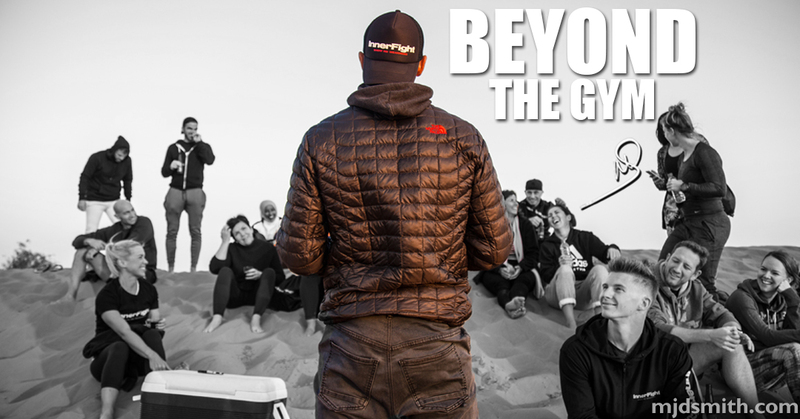 Beyond the gym, that is where you are built.